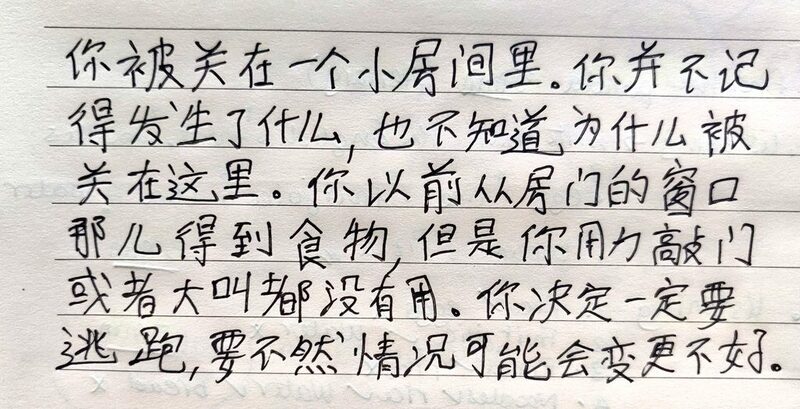 Unlike most other languages, handwriting in Chinese can be regarded as a separate skill. 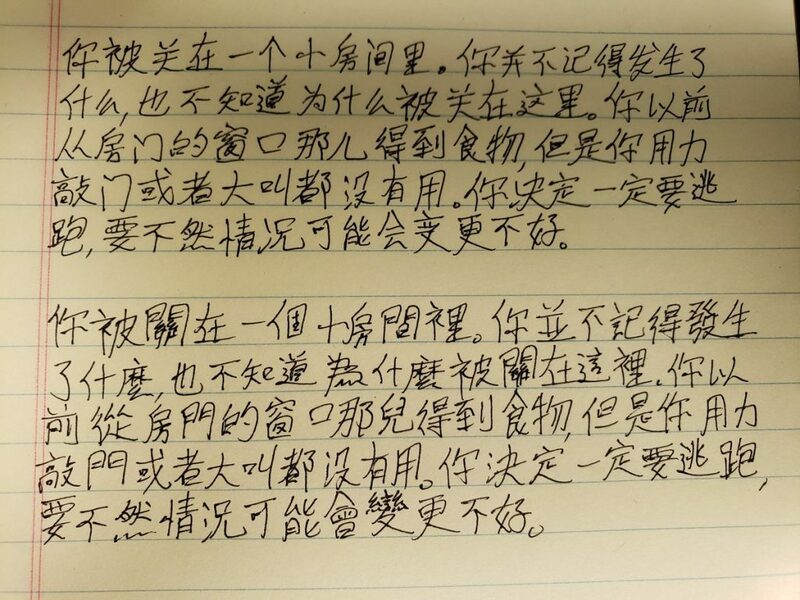 Learning to write by hand is not easy; learning to write well is even harder. 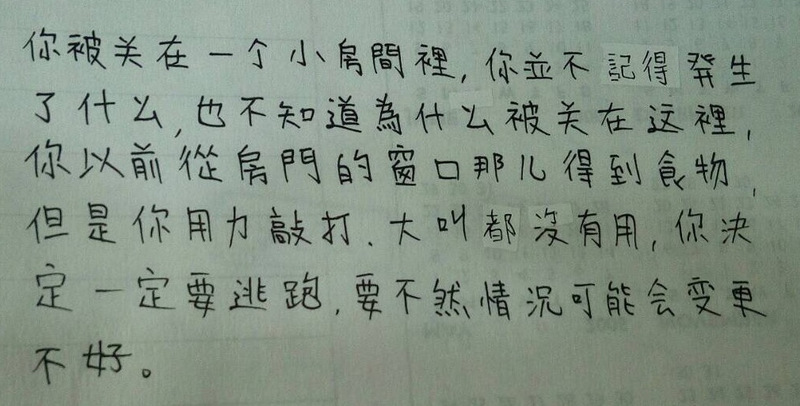 In an earlier article, I discussed handwriting in details, including how to improve it as a student. 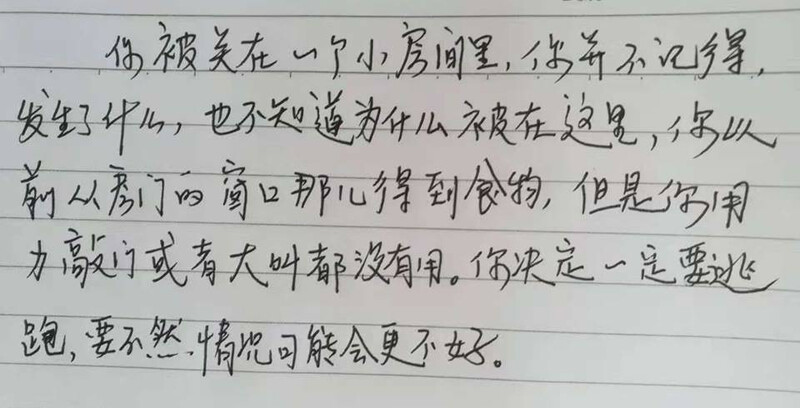 I have collected more than thirty examples of handwriting in Chinese, most of them from students of different ages from various countries across the world. 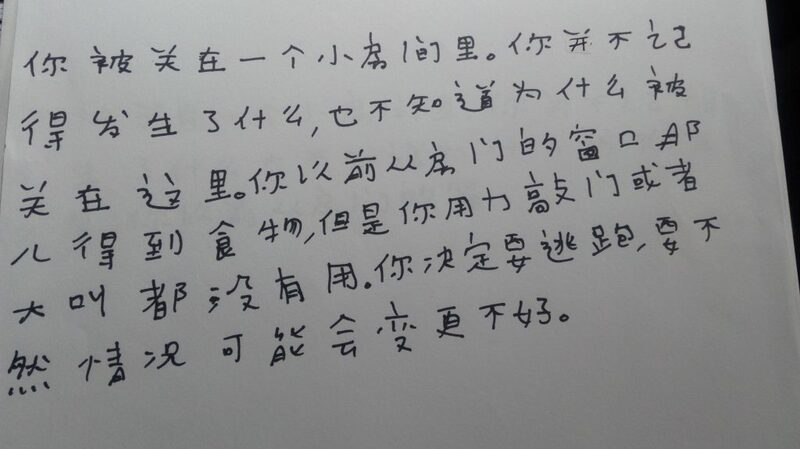 I also gather some examples from native speakers to show as a reference. The examples below are presented roughly in the order of time spent learning the language, with beginners at the start and native speakers at the very end. Counting study time in years can be very misleading, but since there is no better way of sorting the samples, I chose to do that anyway. 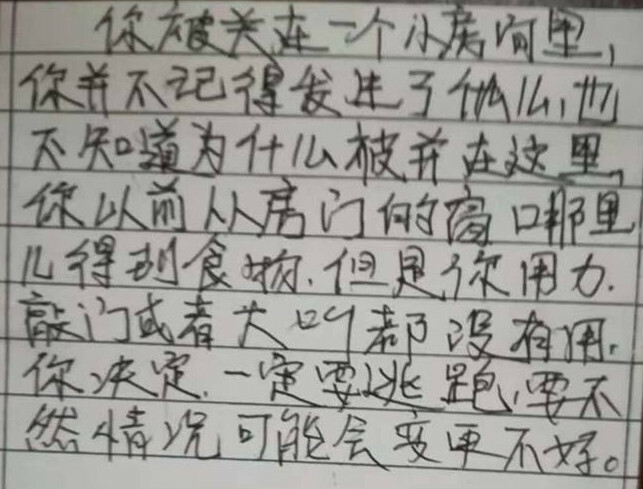 The purpose of this article is not to make a systematic study of student handwriting, although that would be interesting. 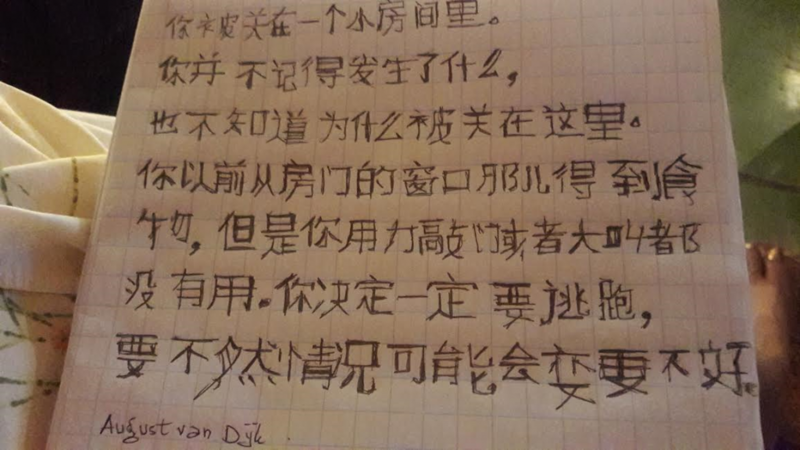 Apart from time spent learning, another important factor is what the student’s writing looks like in her native language. 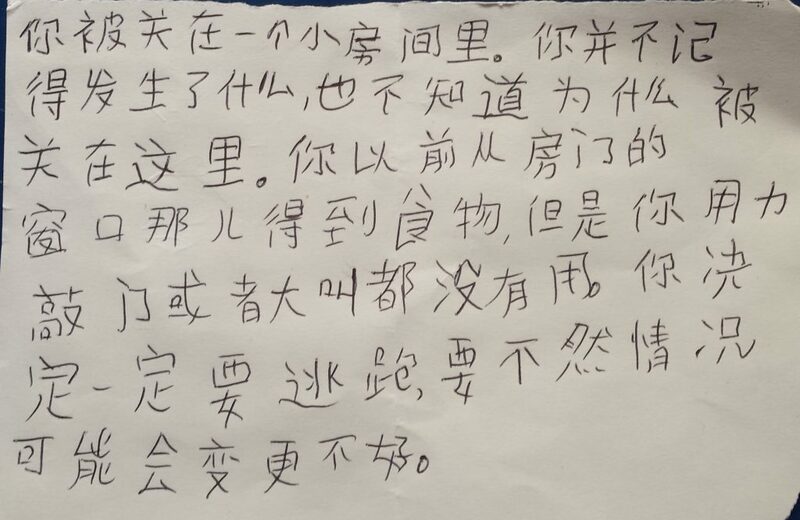 I have seen enough student handwriting to feel confident when I say that there’s a lot of positive transfer going on, so someone who writes neatly in their native language are likely to write neatly in Chinese too. 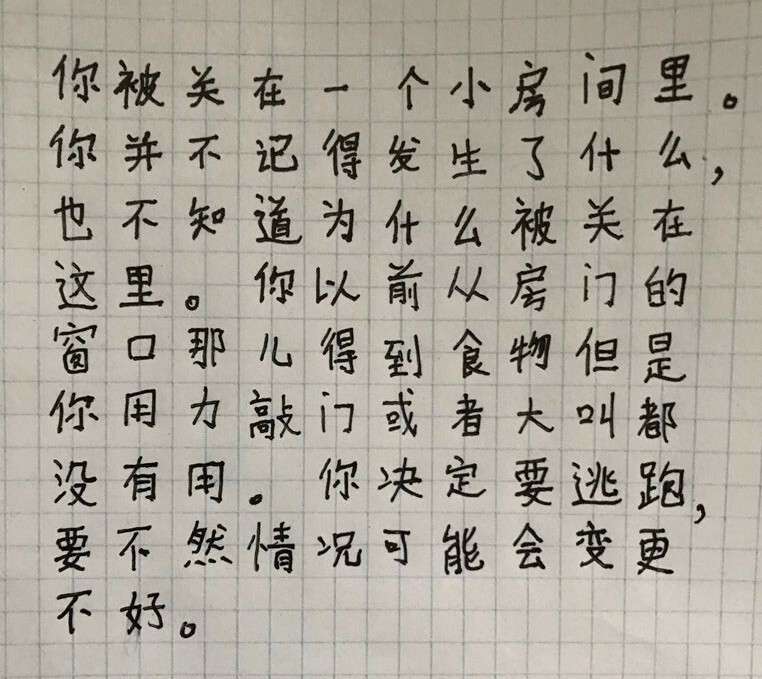 Beginners of this kind might write neatly but with incorrect strokes and so on, but penmanship still carries over to learning Chinese. Speaking of penmanship, it should be mentioned that there is probably a strong selection bias at work here. 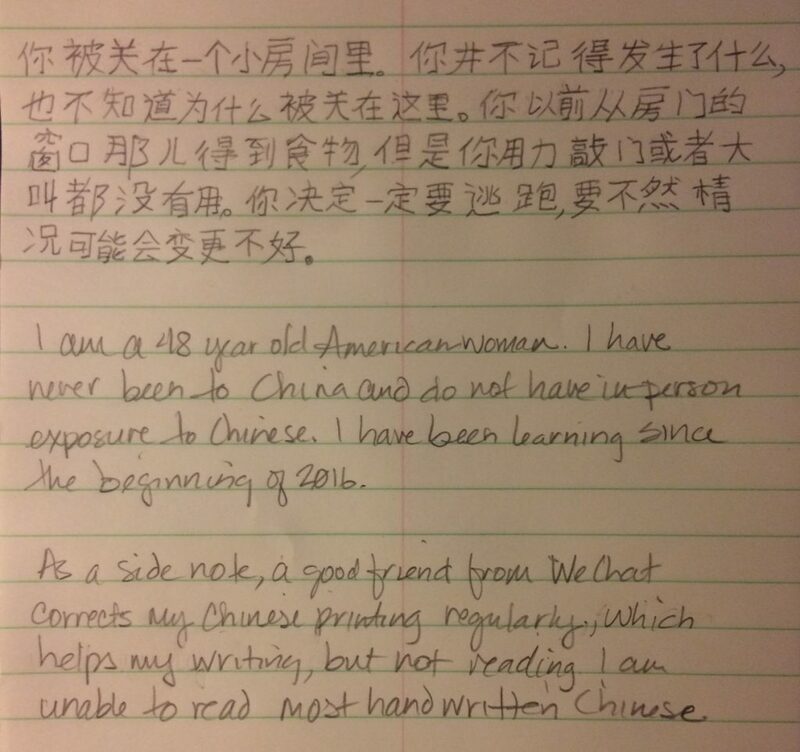 While not all who submitted their handwriting write well, I think it’s safe to assume that people who like handwriting are more likely to have submitted photos of their handwriting when I asked for it. In other words, the average student probably writes worse than the below photos show. 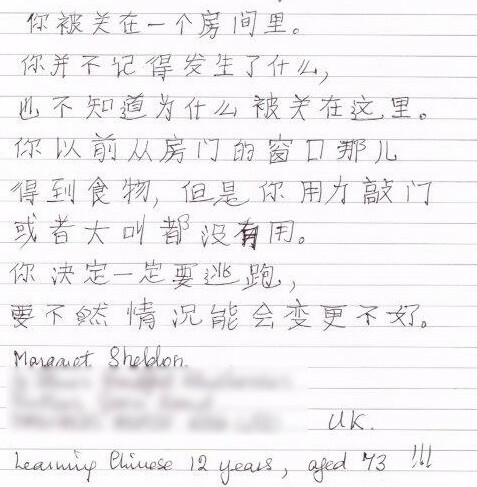 The first submission comes from the US, and also include some information about the student. I collected some submissions two years ago, so “since the beginning of 2016” actually means less than a year of studying! August from Suriname submitted the below sample. 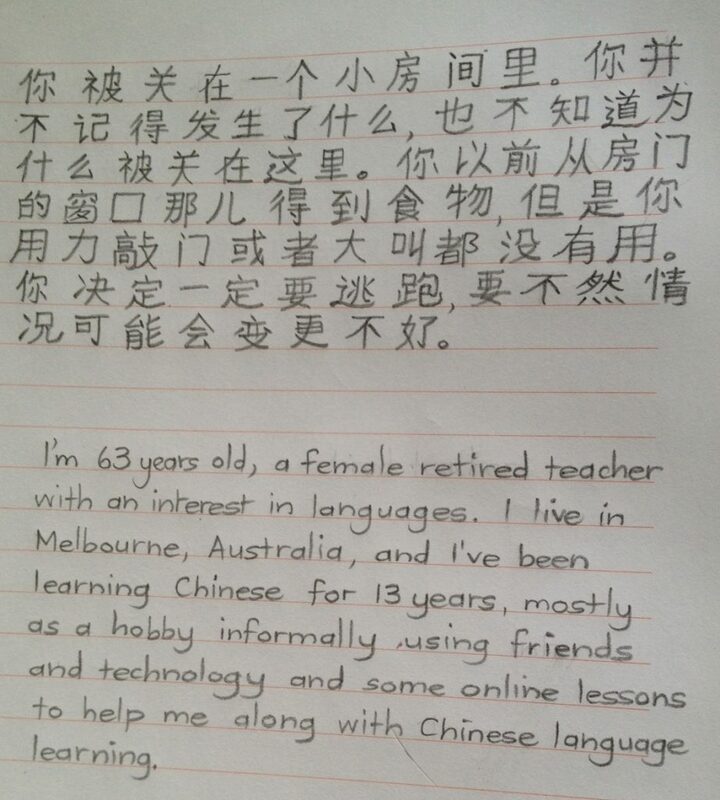 He’s 71 and has studied Chinese for one year. 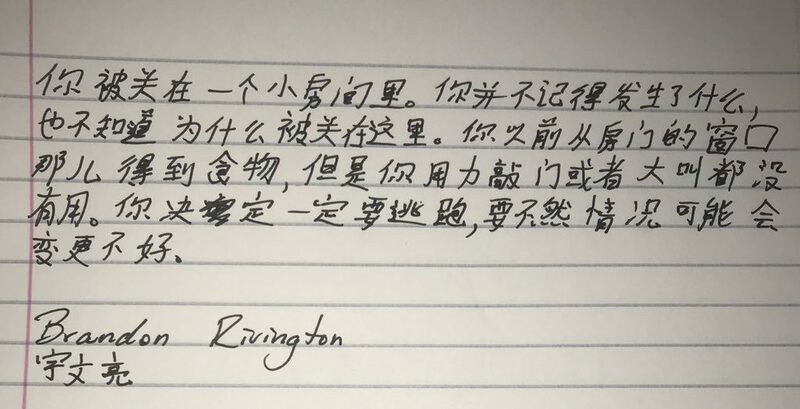 A student from the US sent in the below photo of his handwriting, saying that he’s 51 years old and has been learning Chinese for a little more than one year. Here’s a submission from Melbourne, Australia (information included). She has been learning for 12 years. I’m not sure if any conclusion can be drawn from the samples shown above; that wasn’t really the intention. If you have some thoughts you want to share after checking them out, please leave a comment! 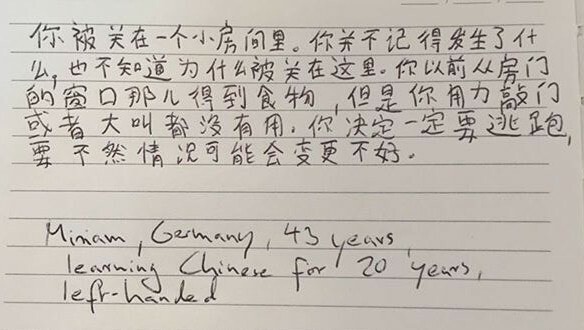 How good your handwriting is depends on many things, including your ability to write by hand in your native language . Time spent practising and how much you care are two other important factors. 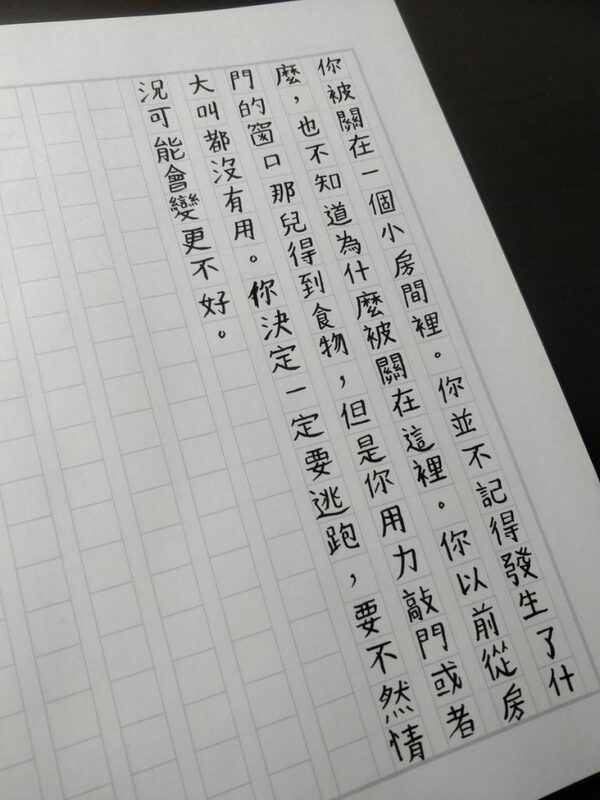 If you don’t think your handwriting is very good because you haven’t practised enough, that’s nothing to be ashamed of. 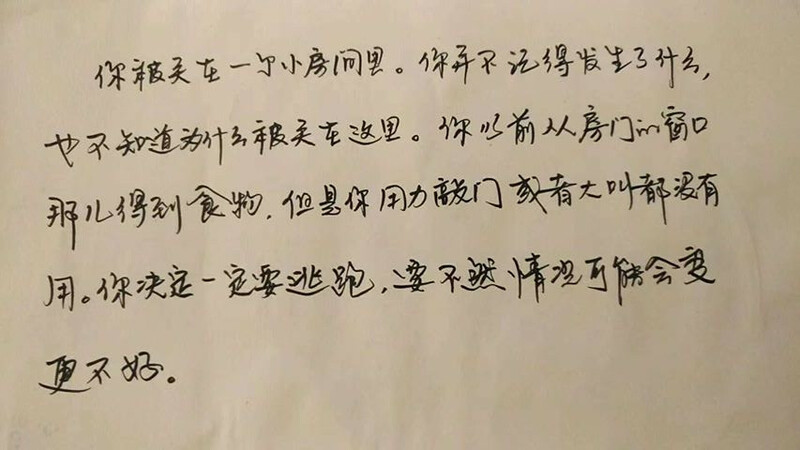 In this electronic era, writing by hand is not an essential skill for most students. This is fascinating! Thank you so much for this compilation. 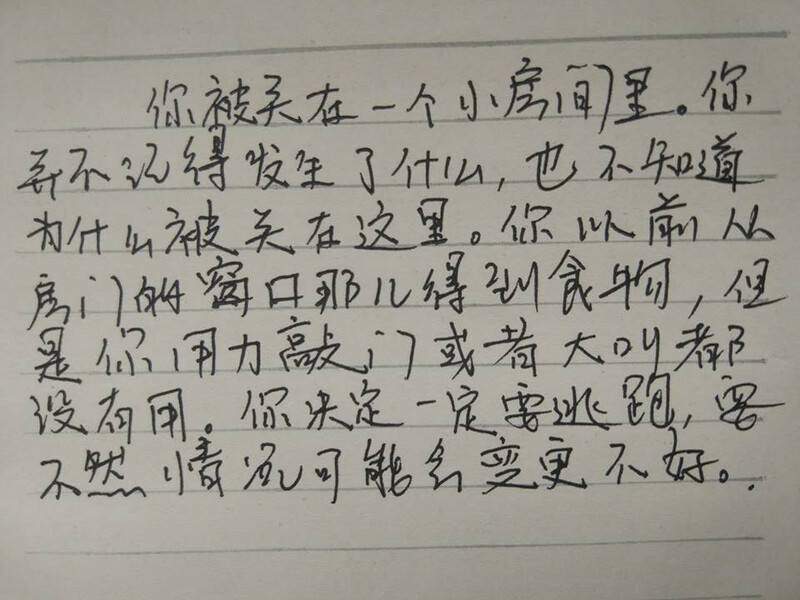 There’s something very touching about seeing hand-written notes, it’s hard to explain. Thomas Walker is by far the best, in my opinion.